Note: For an updated version of this post with better code samples, see the article on the author's weblog. 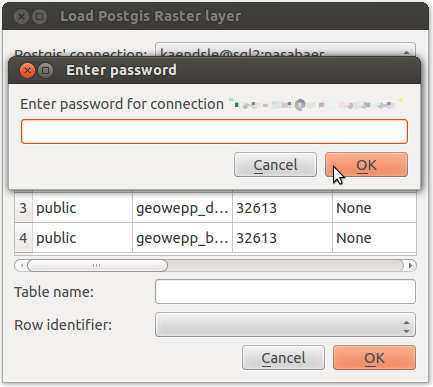 PostGIS 2.x (latest release, 2.1) enables users to do fairly sophisticated raster processing directly in a database. For many applications, these data can stay in the database; it's the insight into spatial phenomena that comes out. Sometimes, however, you need to get file data (e.g. a GeoTIFF) out of PostGIS. It isn't immediately obvious how to do this efficiently, despite the number of helpful functions that serialize a raster field to Well-Known Binary (WKB) or other "flat" formats. It's nice to have options. But what's the most appropriate? If that's a difficult question to answer, what's the easiest option? I'll explore some of them in detail. For better code sample display, refer to this gist. 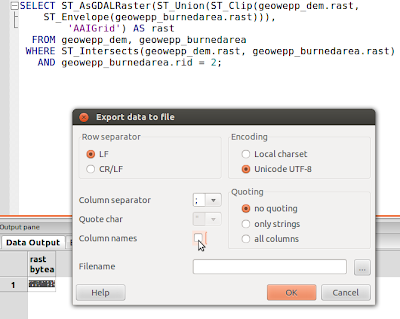 Want an ASCII grid (or "ESRI Grid")? No problem! Just don't export the column names. You'll be doing this a lot. Despite the seeming complexity of this option (then again, compare it to the above), I think it is the most flexible approach. 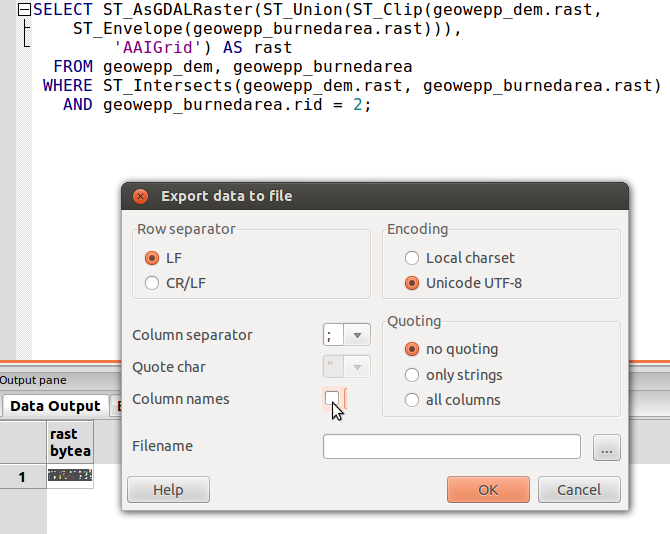 I'll provide two examples here, with code: using GeoDjango to execute a raw query and using GeoAlchemy2's object-relational model to execute the query. Finally, I'll show an example of writing the output to a file or to a Django HttpResponse() instance. After considering all my (apparent) options, I found this last technique, using the PostGIS raster output function(s) and writing the byte array to a file-attachment in an HTTP response, to be best suited for my application. I'd be interested in hearing about other techniques not described here.